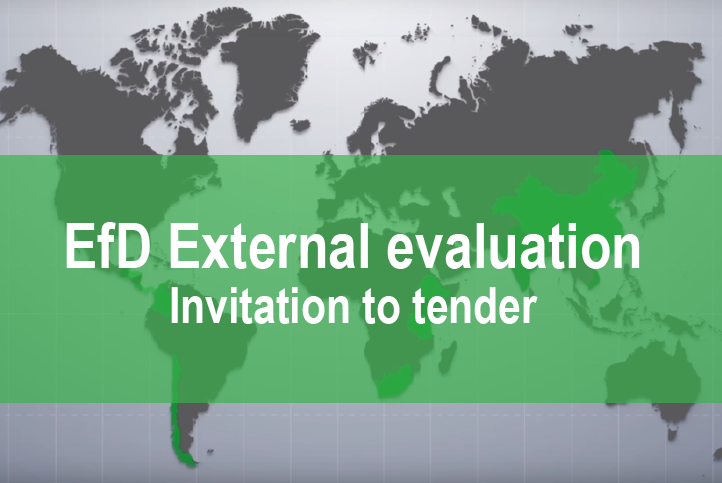 The EfD Initiative is now looking to have an external evaluation carried out. The purpose of the evaluation is to provide an overall assessment of the extent to which EfD fulfills its main objective of contributing to the effective management of ecosystems, natural resources and climate change impacts in the Global South through increased use of environmental economics in building the evidence base for effective policy making. The EfD Initiative should, as far as possible, be reviewed for its relevance as well as for quantitative and qualitative achievements, impacts and sustainability indicators related to its objectives and the effectiveness of support functions for each pillar. The design, content and implementation of the EfD program, including its collaborative research programs, should be evaluated. The EfD program model and its objectives and theory of change are detailed in the appendices and in the supporting documentation. This evaluation is primarily intended to assess the results from 2016 onwards of the Sida-supported EfD initiative, including the newly established unit at the University of Gothenburg and its centers in the global south. The evaluation is part of the five-year plan agreed upon between Sida and University of Gothenburg. The terms of reference is cleared by Sida and the evaluation is procured by University of Gothenburg. The University of Gothenburg now invites national and international organizations and companies to submit their tenders for carrying out the external evaluation. The last day to submit a tender is 11 April 2019. Please follow the link to register and submit your application.